Michelle and Michael’s waterfront St. Pete wedding tied together the bride and groom’s love for world travel with rustic decor and adorable DIY centerpieces. 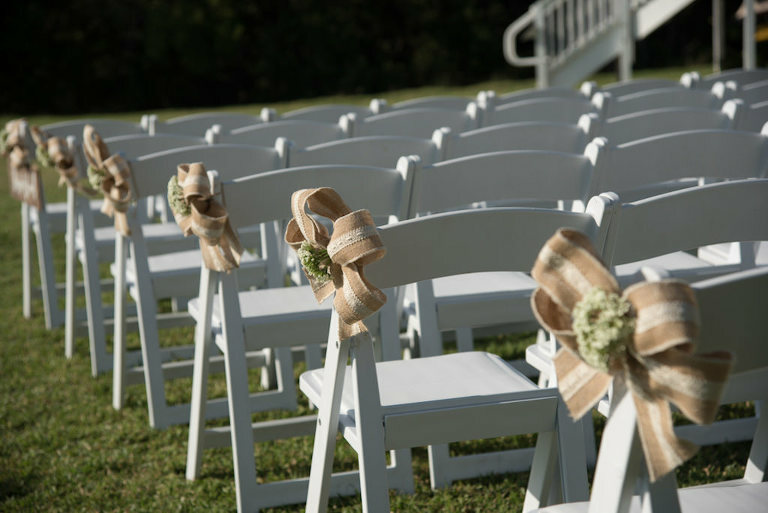 Looking to complement their beautiful surroundings, the couple chose a navy and grey color palette that matched perfectly with their outdoor St. Pete wedding venue. As part of their casual, outdoor theme, the St. Pete natives opted for a food truck that with a custom menu reflected their ethnic roots. Because of her allergies, the bride searched for an experienced wedding florist who could carefully curate her decor without causing a breakout. 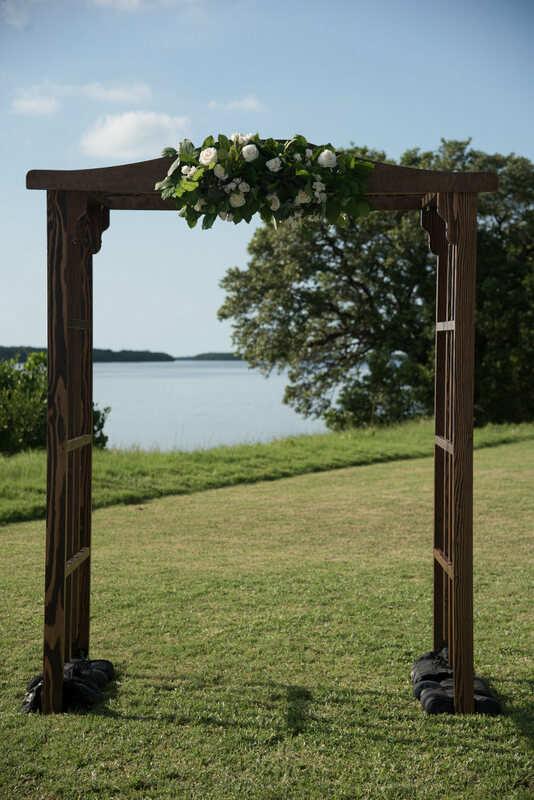 “Cotton and Magnolia was quick to respond and knew exactly what we were looking for with little input,” the bride explained. “With my sensitivity to certain types of flowers, I was unsure what would work best for me, but the team at Cotton and Magnolia knew exactly what to choose. Looking back, Michelle’s most cherished moment included the unforgettable ceremony and the first dance. “Even though we had nearly 120 guests, I felt as if it was just Michael and me dancing in the room. 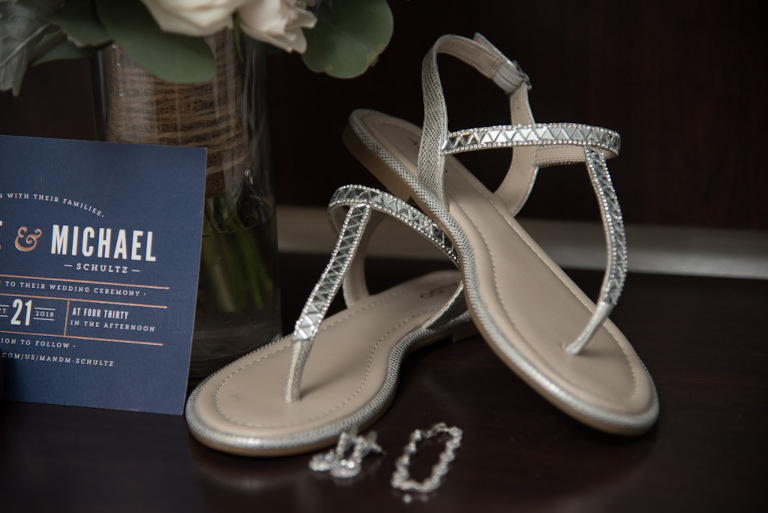 It was such a special and forever memorable experience,” the bride reminisced. We really wanted someone who was competitively priced and appreciated honest feedback. I want to learn more about floral and decor from Cotton & Magnolia. Cotton and Magnolia was always quick to respond and knew exactly what we were looking for with little input. With my sensitivity to certain types of flowers, I was unsure what would work best for me, but the team at Cotton and Magnolia knew exactly what to choose. Michael proposed on January 13th, on the beach in Anna Maria Island near the Oyster Bar. It was a cold and breezy day. He had arranged for both of our families to a surprise me at the restaurant to celebrate the proposal. His younger brother was able to catch our walk down the beach and the proposal on video and camera! Our theme and design were very much rustic, casual. We chose an outdoor venue on the water because we are outdoor enthusiasts and love marine life. It reminded us so much of home and the Florida Keys. Navy blue and grey. We both love blue, and it went well with the outdoor theme. What did you look for in a wedding catering company? We wanted to incorporate our rustic outdoor theme throughout, and therefore a food truck was the first thing that came to mind! I Want to Learn More about catering from Tastes of Tampa Bay. The great thing about Tastes of Tampa Bay is that they are also a full-service catering company so I was confident in their meal preparation, timing, clean up and set up. They allowed us to personalize a lot of the menu and even took inspiration from both my Hispanic background and my husband’s German-Polish background. They were the perfect blend of casual dining, uniqueness, and personality. For us, their experience they provided from start to finish was second to none. Make it your own! We didn’t follow tradition, instead, we made sure it was a night that we loved with closest friends and family. 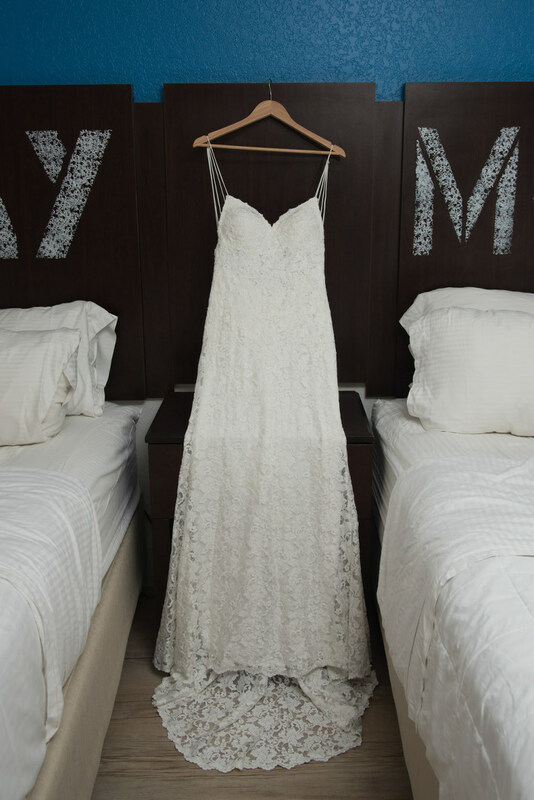 The night flies by so make sure to enjoy every minute of the process leading up to your special day. Bartender: The Hub Tap Mobile Event Co.